**Reminder*** Remember to press submit when ever you need to leave or go onto the next activity. Before reading answer some of these questions before you begin. 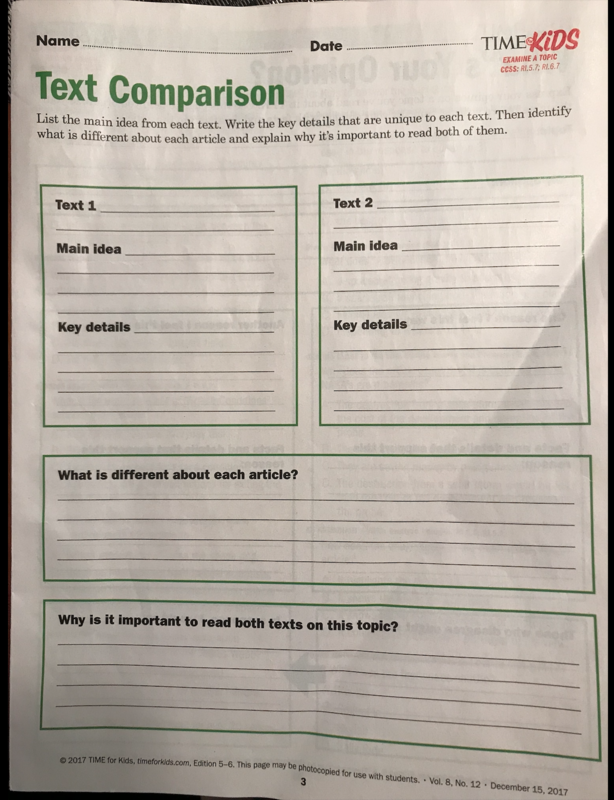 Skim the article Mission-Ready pg.4-5. What text features do you see? What is the purpose of text features? Text features help deepen our understanding of what we read. 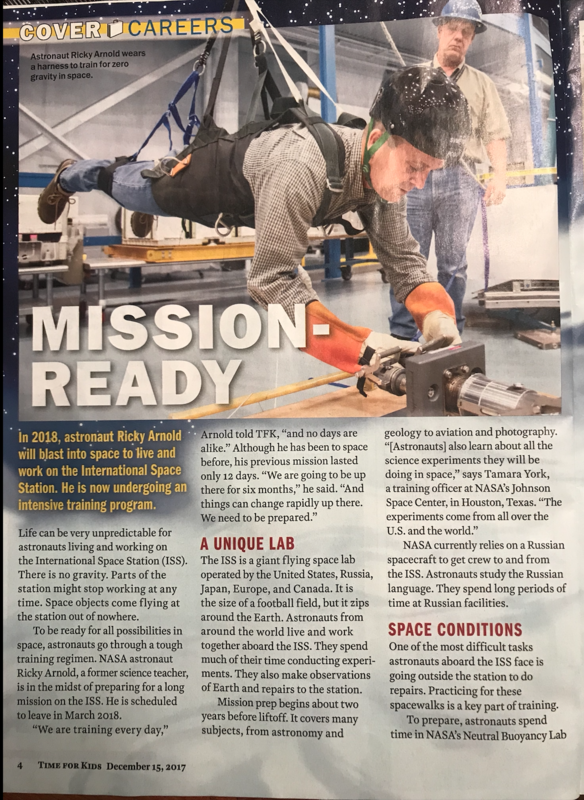 You will be reading an article about a former science teacher who is now an astronaut preparing for his second mission to space. Read the article physically or read the pictures below. You will now read a second article on pg. 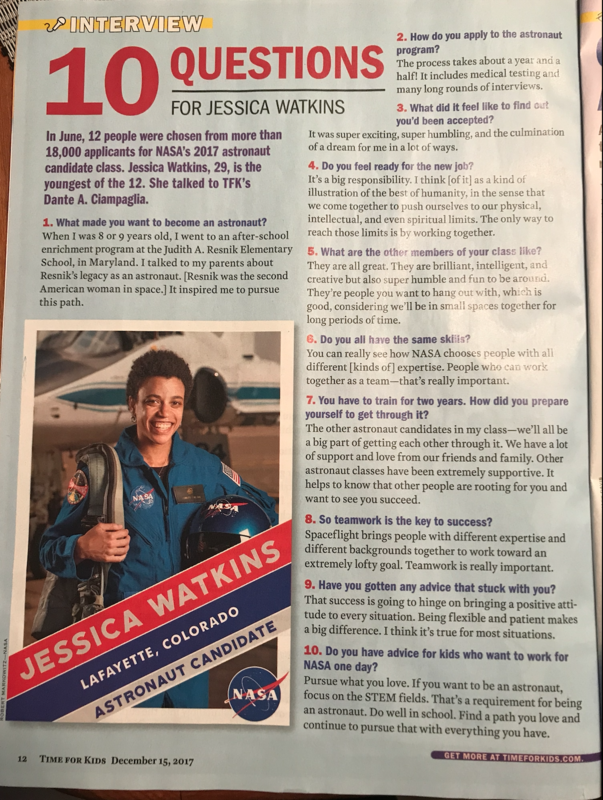 12: an interview with Jessica Watkins, one of the newest astronauts selected in 2017. Discuss how the content in both articles are connected. How are the 2 articles connected? 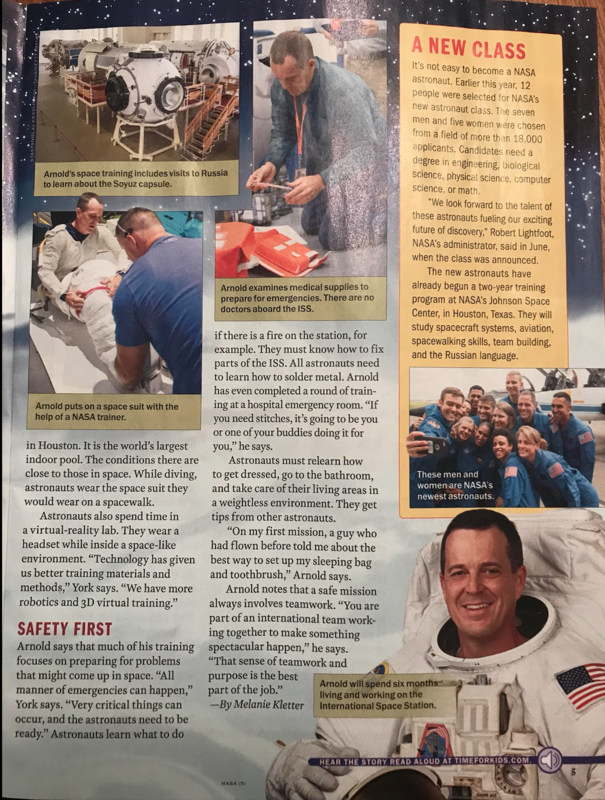 What is some of the key information if someone was interested being an astronaut should know? After your discussion, work with your group to fill out this graphic organizer. Which text are you talking about for Article 1? Which text are you talking about for Article 2? What is main idea of Article 2? What are key details that support the main idea of Article 2? What is different about each article? Why is it important to read both texts on this topic? If there is still time please read the rest of the magazine. 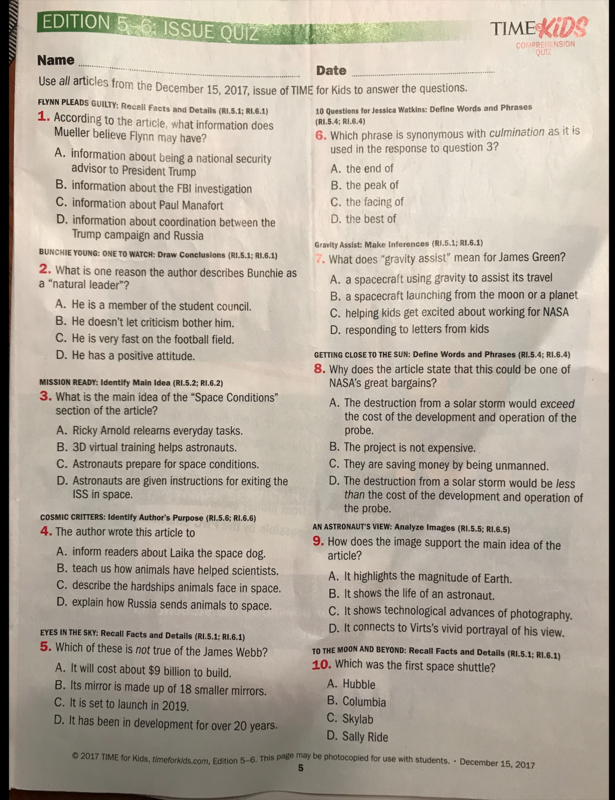 If you read the whole magazine please take this comprhension quiz to show what you know.